Seriously, y’all. This is all a bunch of BS. 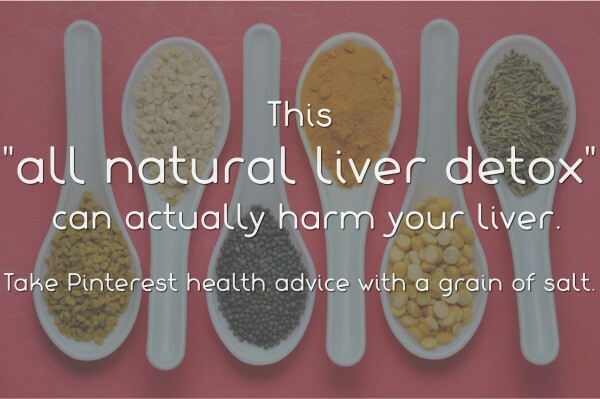 Lately on Pinterest, I have been seeing a lot of infographics touting turmeric as a miracle spice that will “detox” your “abused” liver. I know that arguing with quackery on Pinterest is like tilting at windmills, but that’s never stopped me before.